Sometimes the hardest part of reviving a piece is picking the finish/ color or fabric that you want to use. This roadside find was in awesome shape, so I’m leaving the finish for now (with a few little touch ups here and there) but I may eventually white wash it. That being said, I love it how it is for now. 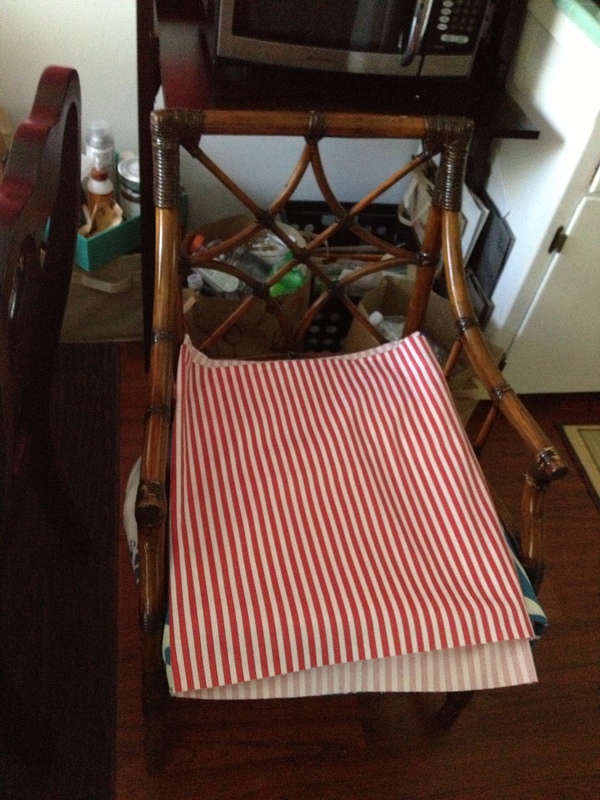 I almost think a thicker stripe would be better on this piece. 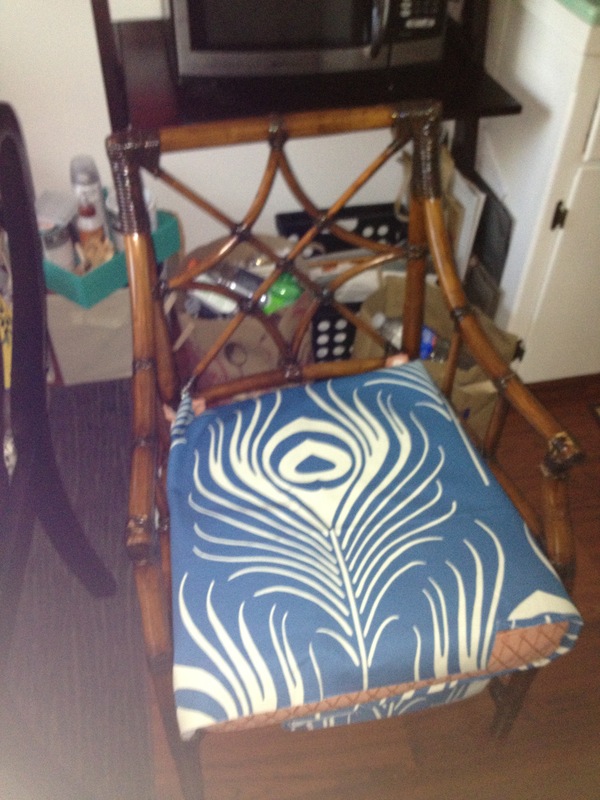 I love the retro feel of this bold pattern, and I originally envisioned this chair with a blue and white cushion. 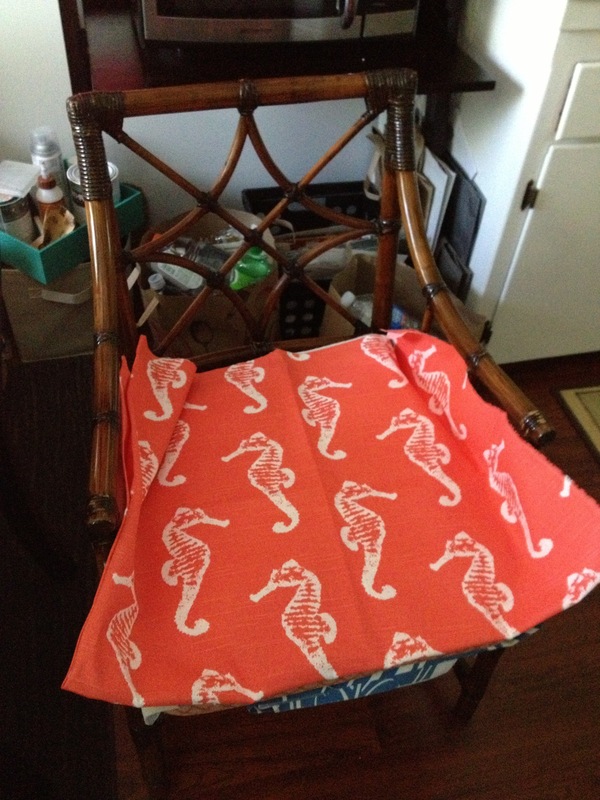 I LOVE the beachy feel of the seahorse print. I think I will make this cushion first, even if it is out of season. The bright coral reminds me of the south!